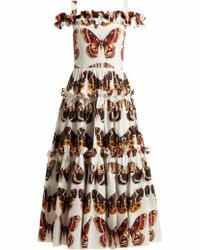 Give your look an instant hit of fluidity when you throw on a butterfly-print dress. 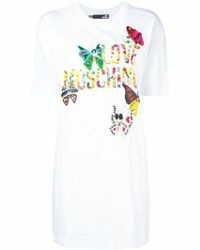 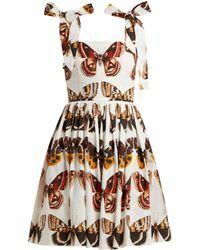 A print to liven up even the most simple of silhouettes, a women's butterfly-print dress is a great feminine option. 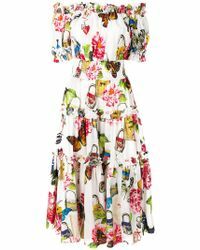 Love to go bare-shouldered? 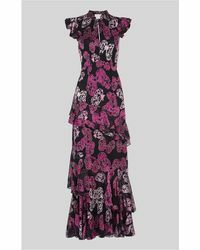 Dhela and Yumi Kim have off-the-shoulder and one-shoulder styles that are perfect for afternoon events. 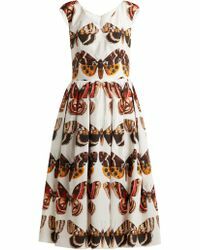 For those after butterfly-print dresses with a fitted silhouette, then point your interests to Dolce & Gabbana and Roberto Cavalli.